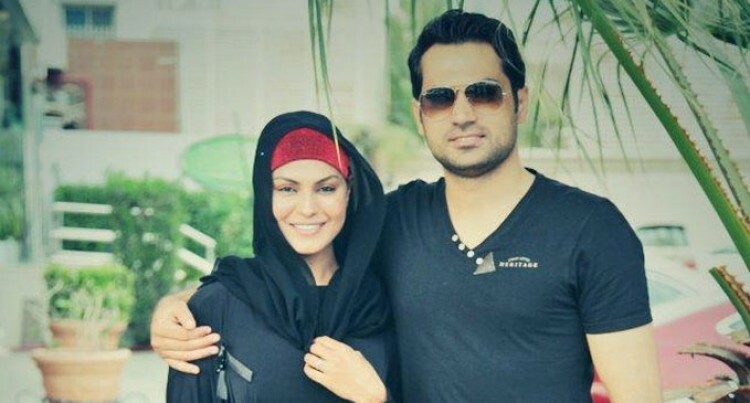 Actress Veena Malik (left), with husband Asad Malik. An anti-terrorism court in Pakistan on Tuesday awarded 26-year jail term to owner of the country’s major media group for airing “blasphemous contents” during a TV programme. The court ordered the arrest of Mir Shakil ur Rehman, the owner the Jang group of publications. The group owns “Geo television” and the English daily “The News”, Xinhua reported. The court in Gilgit-Baltistan also announced jail term for known actress Veena Malik, her husband Asad Malik and Shayesta Lodhi, who had hosted the controversial programme. None of the accused were present in the court at the time of the announcement of the verdict. Judge Raja Shehbaz Khan also imposed a penalty of 1.3 million Pakistani rupees (about $12,500) each on all the convicts, who have the right to appeal against the judgment. Waqar Ahmad, secretary to the judge, told the media the court ordered the local administration to confiscate properties of the convicts if they did not surrender to the authorities. All convicts are believed to have gone abroad. A petition, filed in May this year, had stated that the convicts had “used derogatory language for “committing blasphemy by airing objectionable contents” against the family of the Prophet Hazrat Muhammad. Officials said all convicts can file appeal against the verdict in the chief court in Gilgit-Baltistan, which is equal to a high court. Geo television had aired the controversial morning show May 14 that had prompted criticism from religious circles. The TV had publicly apologised over the programme and also published apology in the group’s English and Urdu newspapers. The programme was aired to celebrate the wedding of famous film and TV drama actress Veena Malik. The management later said the host had unintentionally committed a mistake in the programme namely “Wuthu Jago Pakistan”, which means wake up Pakistan. Religious groups had also staged rallies against the media group.